Summer is in full swing and I don’t know about you but it is flying by way too fast! My little girl’s first summer is over half way done and there’s so many things left on our summer bucket list! One thing I recently was able to check off that list though was to make some homemade fruit popsicles. If you haven’t read yet, we are doing baby led weaning and therefore from around 6 months Monkey has been eating table food. 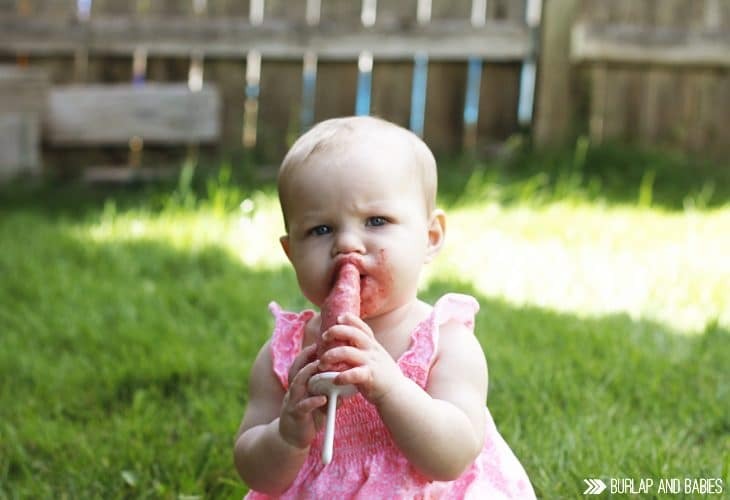 I was so excited to be able to make her some fruit popsicles that would be fun for the summer months. 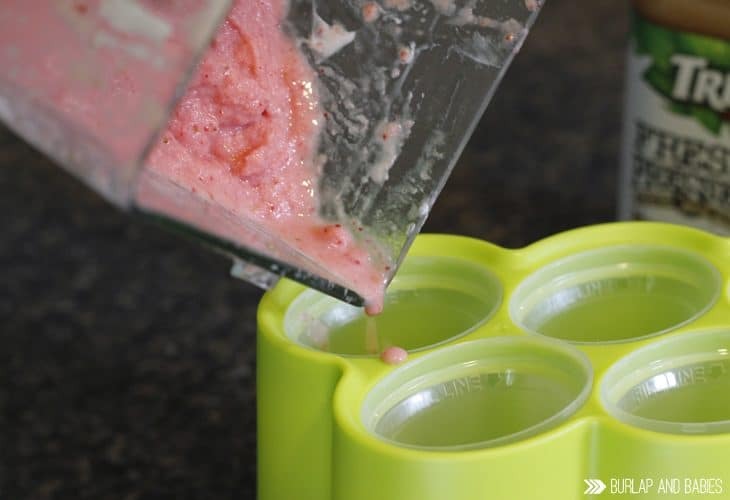 These popsicles taste delicious and just like a frozen version of our favorite smoothie! 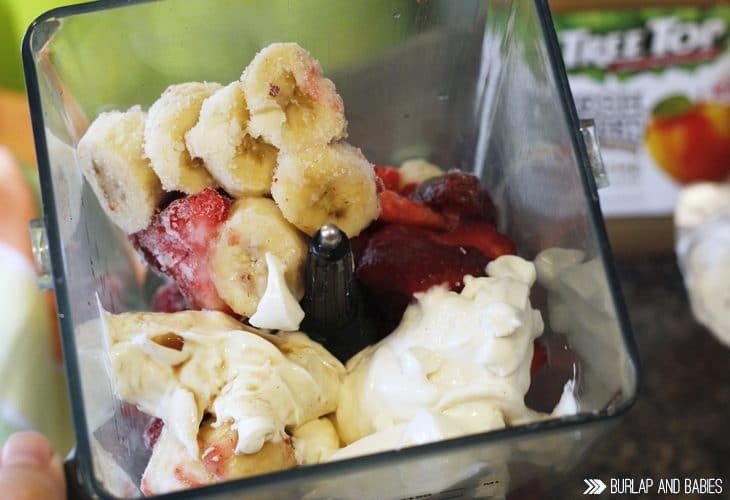 I don’t know about you, but in our home strawberry-banana smoothies are the bomb.com!! It’s such a quick recipe because you get to just throw it all in and call it good. You can find the recipe I used over at Tree Top recipes page or I’ll share it here for you as well. I also chose to throw in some of the strawberry fruit smoothie juice I had. 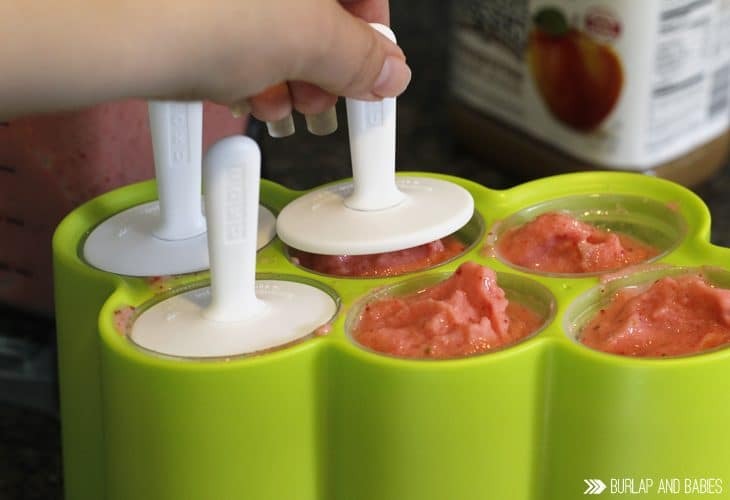 Blend it all together, pour it in your popsicle mold, and freeze overnight. 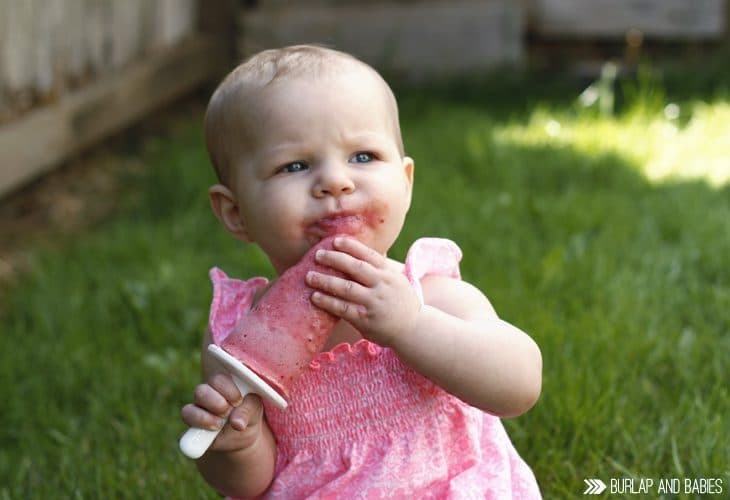 Within a few hours you have yourself a delicious treat that even the baby can enjoy! By the way, I bought this popsicle mold off Amazon and love it!! Now that I’ve started making homemade popsicles I want to have them in my freezer all the time. 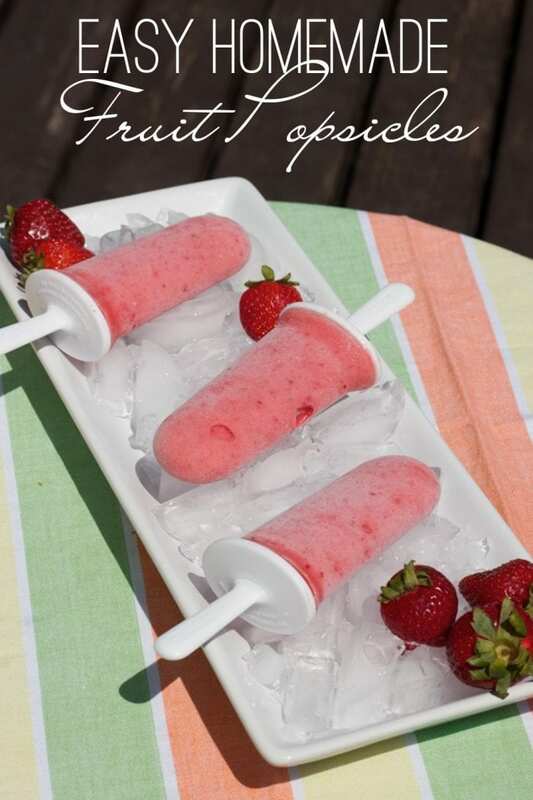 What is your favorite homemade fruit popsicle recipe? 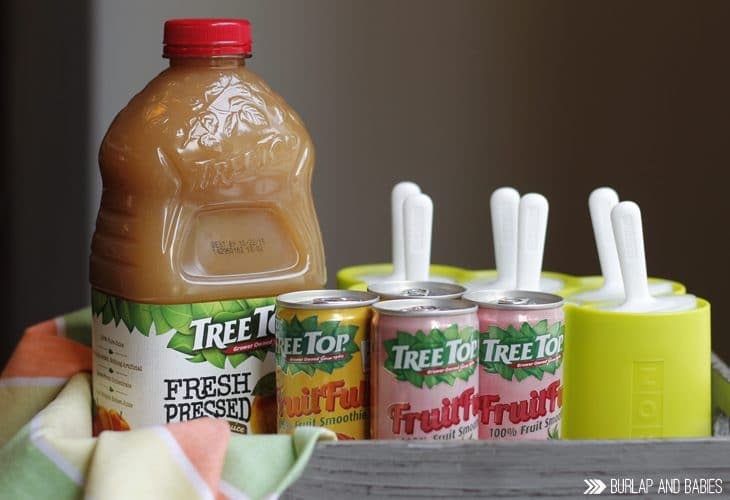 I received product from Tree Top but was not asked to review. All opinions are 100% my own. This post contains affiliate links.